The billboard on Highway 175 promoting baseball legend Mickey Mantle's real estate developments on Cedar Creek Lake is now just a distant memory, but it's something I always looked forward to seeing when I was young. The billboard is about all I remember from those early days driving here from Dallas with my family for them to check on farm land they owned in the Styx area west of Seven Points. I was an adolescent, and I found the whole agricultural scene to be at best boring. My first few visits to the area dated back before the lake was built in the mid-1960s, and I felt sure during the heat of summer that I was as close to hell as I would ever get in Styx. To my mind, Styx, which in Greek mythology refers to the river running between earth and the underworld, was a most appropriate name. Gun Barrel City did not exist then, and there was a long narrow country road running from 175 through Seven Points to Styx. In those days, the only business operating at the intersection at Seven Points was a country store with a gas station, where we usually stopped for drinks. There was an old abandoned house on the farm and big trees under which I would sit and think about the good times I was missing at the swimming pool in the city. That's why news about the development of the lake thrilled me to death, and the use of a glamorous sports figure like Mickey Mantle made it all the better. I envisioned all sorts of fun times on the lake, and obviously so did a lot of other people, judging from how the landscape has changed in the past half-century. Oldtimers, on the other hand, worried that the lake development would bring nothing but "trash" to the lake, hence the origin of the term "lake trash." I thought they were totally crazy, and I think time has proved my young mind right. The lake has become the economic engine for the whole area, and the people it attracts to its shores are the fuel that keeps the machine running. As for Mantle's role in the lake's development, the former baseball player pitched several business ventures to an adoring public hoping to capitalize on his fame, including country cooking and family restaurant chains, bowling and billiards centers and real estate developments. 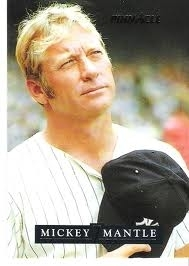 Unfortunately, he was a poor businessman and had struck out by the 1970s, according to Kelly R. Eisenhauer of Lehighton, PA, a fan and collector of Mickey Mantle memorabilia, who has written extensively about Mantle in "The Complete Collectibles Guide, Mickey Mantle" and provided photography for the HBO documentary, "Mantle, The Definitive Story." Mantle was hired by GWM Corp. of Dallas to help promote three developments on Cedar Creek Lake called Mickey Mantle Manors, Willowwood and Arbolado. All promoted boating, fishing, swimming and the like for weekends, summers or retirement. Brochures of those developments are now considered collectors' items, and ones signed by Mantle can command some pretty amazing prices, considering they were handed out free initially. 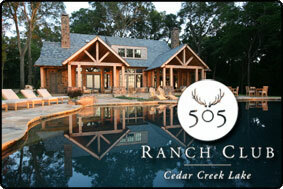 Mantle's name was used to promote "Homesites of Distinction on Cedar Creek Lake." Mickey Mantle Manors offered lakefront lots with 95-by-150-foot lots selling for $695 each. One of the development's brochures signed by Mantle might bring as much today as a lot originally cost. Willowwood was a lakefront resort for mobile homes. A promotion featuring a picture of Mantle said, "Mickey Mantle bids you welcome. He selected a Willowwood waterfront mobile home site for his weekend retreat. Mickey, Merlyn and the boys get away from it all on the shore." And if you believe Mickey and his family spent much time at Willowwood, would you be interested in buying the causeway running between Gun Barrel City and Seven Points? Arbolado, which means "wooded" in Spanish was the third resort area developed under the Mantle name. All of the developments still exist on Cedar Creek Lake, although they no doubt have changed dramatically during the past four decades. Mickey Mantle, who played for the New York Yankies, and is regarded as one of the greatest hitters of all time. He died in 1995 at Baylor Hospital in Dallas at age 63 from ailments brought on by alcoholism, which he publicly acknowledged. There's no longer a billboard on Highway 175 letting newcomers know that one of American baseball's greatest players helped develop Cedar Creek Lake, but maybe it wouldn't be such a bad idea to erect another one. His name will forever be linked to the history of the lake and should be memorialized prominently.